females pursuing a career in tourism. were presented with their official packages for the scholarships. rapidly growing Tourism Industry, and to offer our youths the opportunity to aim higher and dream bigger in charting their career path. Tourism is one of Belize’s largest Industries and the demand for trained human resources is growing. 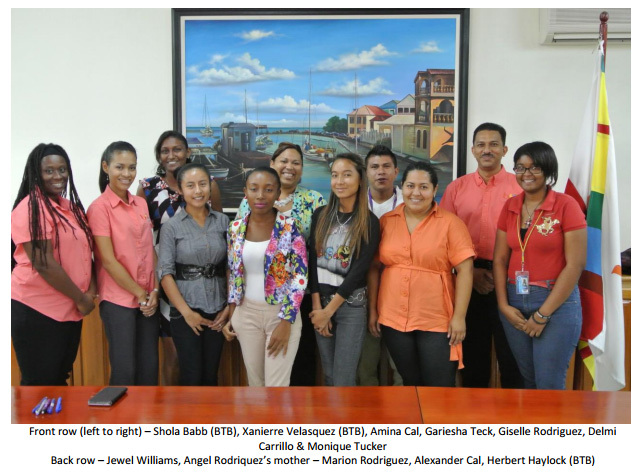 The BTB, by way of these scholarships, is doing its part to expand the human resource pool in the Industry and ensure that Belizeans are prepared to take on more roles as needed to continue to increase tourism in Belize”.